Learning Japanese the New Way | Eugene! Learning a new language has always been one of those things that people want to achieve. It’s always on bucket lists, new year’s resolutions, or whatever you call something you want to do these days. Of course, it’s one of those things that are easier said than done things. People have different motivations for wanting to learn another language. Usually, it’s fascination with another culture that drives us to study another language. Most of the living world wants to learn English because it’s perceived as the “common tongue” (Game of Thrones reference). Whatever your motivation is, learning a new language is hard. The older you are, the harder it gets. I’m lucky to have grown up in the Philippines where English is the second language. I appreciated it more than ever when I moved to Singapore. I didn’t realize that my English skills were good enough to actually receive comments that my English is quite good. It’s especially useful when travelling to non-English speaking countries. But all of it changed when I went to Japan. 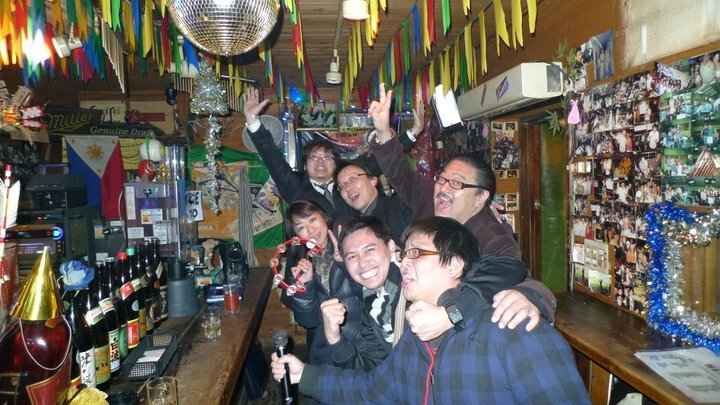 Philippine pub in Japan! How cool is that!? I’ve always been fascinated with the Japanese otaku culture. I remember memorizing hiragana in high school and practicing my hiragana whenever the lessons are boring. Years later, and after being awakened by my recent trip to Japan, I told myself that it’s time to study it for real. A quick search online led me to Bunka Language School. My satisficer versus maximizer decision making was quick even though there are tons of alternatives and varying comments online. Six months after enrolling, I’m currently in my elementary two class. All I can say is learning a new language is really hard. Here are some tips that I use on learning Japanese. Find a good language school! – As much as you want to save money, nothing beats an actual teacher who will guide you throughout the whole process from your ABCs up to the most complex of sentences. Believe me, if you think just watching anime and listening to Japanese music will get you to learn the language, think again. After all those years of watching anime, a lot of phrases stuck with me, but most of it are off phrases that aren’t really useful in day-to-day conversations. Invest in a good language school. It might be costly but it’ll be worth it. Practice every day! – As with anything that requires mastery, you need to do this everyday. If you’re practicing the Japanese alphabet, read signs. If you are studying grammar, practice with a grammar book. Language is one of those things that has to be ingrained in your mind. You can’t take shortcuts and there’s no other way around it other than practicing every day. During my first few weeks, I had to relearn hiragana. This meant practicing how to write and read every day. Luckily, there are tons of random Japanese signs around town I can practice reading from just to make sure I was right. At night, practice for 15-20 minutes of writing. Just practice everyday! No other way around it. Which leads me to my third point. All these folks wants to talk to you! Use tools! – With humanity’s superior knowledge accessible via the internet, there’s no reason not to use the Internet to aid you in practicing everyday. There are so many online tools that you can use. One of the tools that I use is Rosetta Stone software. 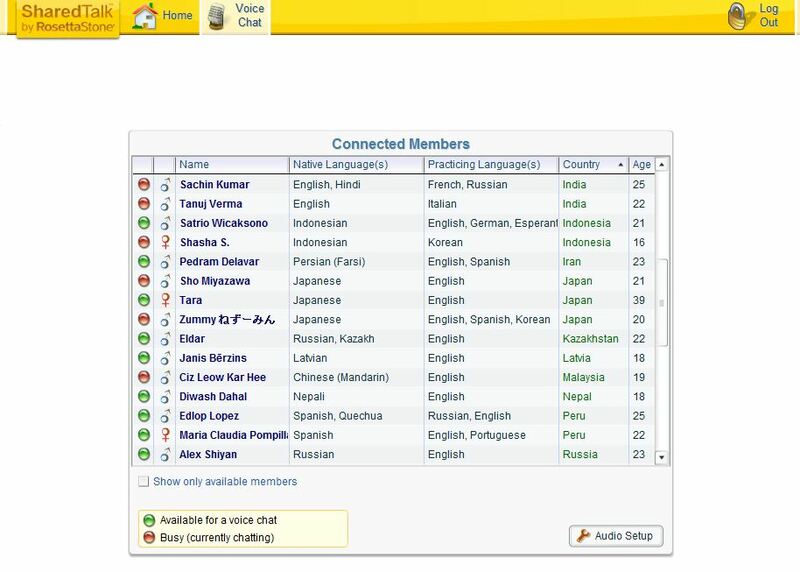 This software has been lauded as one of the best tools to learn a new language. I’ve been using this along with my studying and it’s a different concept of learning. They say that their method is the same way we learned how to speak while we were kids, showing pictures of scenarios and saying the corresponding words. This method is pretty simple and it’s an effective way to learn the language because you have to repeat the whole process several times during the program. You don’t finish the whole course within 24 hours; rather you practice for 15-20 minutes a day until you finish the whole thing. Another online service that I’m using is Shared Talk. I freaking love this tool because it allows me to practice with real humans! YES! Real freaking humans! Do you know how hard it is to pull someone who knows Japanese and ask them to practice with you, while they patiently correct your grammar? Anyway, Shared Talk is a product of Rosetta Stone without you having to shell out 300 dollars. Shared Talk basically connects people who want to learn a new language online with the goal of helping them practice together. Think about it: some guy in Japan wants to practice his English and you want to practice your Japanese. That’s it! You get to talk to random people with the goal of learning their language. So far my experience has been generally good. I’m lucky because most of the people I talk to actually know a bit of English so it’s not really hard to communicate with them. Most of them just want somebody to practice their conversational English with. It’s great whenever I’m stuck reviewing because I can just login and ask someone questions while enjoy a nice conversation. Most of the people there are quite friendly and helpful. Of course with any online communication tool, you have to exercise a level of caution. Don’t share your email or any personal information please. The most important tip, know your motivation! – My goal for learning Japanese is to be able to converse properly and pass a couple of JLPT exams. Studying everyday takes dedication and patience. When you were in school, you know what you had to do. Pass the exam and move on the next grade. With studying on your own, the exit is pretty easy. Just stop enrolling. Nobody is forcing you except yourself. This is where the problem comes. If there is no outside motivation, there’s no will. Once you get tired of it, byebye :D. If your motivation is not clear and your goals are undefined, you will falter. So before you invest, know your motivation, write down your goals and read it every time you don’t feel like studying. Hi, I’ｍ happy to read your blog! I’m pleased you chose to study Japanese, studying hard. Although Japanese is not major language ( in geographical reason, international trend..), And, it’s losing appeal because of long termed Japanese economic slackening and so on. moreover, this language is not very easy to learn viewed from its structure. From my experiences, I felt something is real how hard to keep the students motivated to study Japanese language, especially, in the country where is spoken English like the Philippines, Singapore. Please keep it! I also want to do my best to be able to help the students to learn while enjoying. I agree on several points especially now that Chinese is the darling of the economic world. I actually tried studying Chinese but the motivation wasn’t really there. I thought there would be a natural advantage because I’m staying in Singapore but the drive just wasn’t there. Again it all goes back to the motivation piece. I’ll share more once I take an exam or a real-world exam on speaking Japanese.